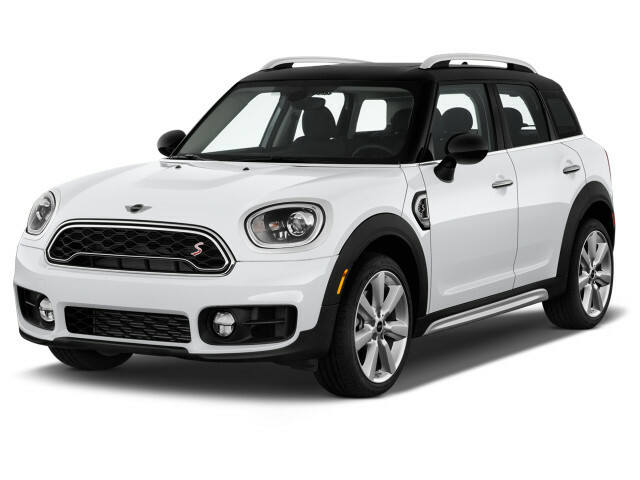 The Mini Countryman is the biggest Mini money can buy (insert irony here) and a compact crossover with available all-wheel drive. 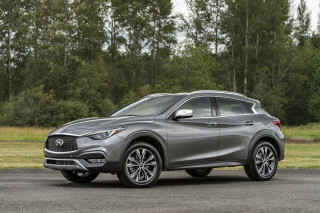 It's a charming crossover with plenty of style, and competes in an ultra-competitive set—vehicles like the Buick Encore, Fiat 500X, Audi Q3, and Mercedes-Benz GLA-Class all vie for attention. 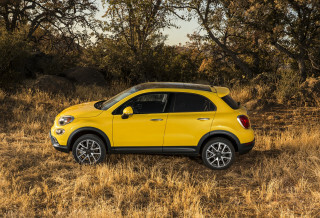 The Countryman is loosely related to the BMW X1. A new Countryman made its debut as a 2017 model and a plug-in hybrid version followed quickly for 2018. The car was unchanged for 2019. The new Countryman is bigger and more spacious than the first-generation vehicle. It looks better, too, with a less ungainly roofline than the original Countryman. The base engine is a turbocharged 1.5-liter inline-3 with 134 hp, paired to either a 6-speed manual or 6-speed automatic. A turbocharged Cooper S model sports a 189-hp 2.0-liter inline-4 with an 8-speed automatic or a 6-speed manual. All-wheel drive is an option on Countryman SUVs. A Mini Countryman John Cooper Works tops the range; it utilizes a 228-hp version of the 2.0-liter that's shared with the BMW X1, but it has its own sport-tuned suspension and steering. Unlike the BMW, which shares its platform with the Countryman, the Mini with this engine is available with a 6-speed manual. A new plug-in hybrid Cooper Countryman S E ALL4 adopts the same gas engine as the base model, and standard all-wheel drive. It blends in the power from an electric motor and a 7.6-kwh lithium-ion battery, using the gas engine to power front wheels and the battery and motor, the rears. The battery sits under the back seat and can power the Countryman for up to 12 miles on electricity alone. In battery mode, the Countryman tops out at 77 mph, and recharging can take about three hours on a 240-volt outlet. The new Countryman should do a better job at conveying people, particularly rear passengers, better than its predecessor. Head, leg, and shoulder room have all improved, Mini says, and the new Countryman has about 30 percent more cargo room. That translates to 17.6 cubic feet with the rear seats up and 47.6 cubic feet when folded. The Countryman nameplate launched in the U.S. for 2011, and saw only minor updates in its lifetime, most of them cosmetic. The first Countryman actually shared body panels with only one of the other smaller, shorter vehicles in the Mini lineup: the Paceman hatchback. But the family resemblance was easily spotted. All-wheel drive was available, but rear-wheel drive was standard. The Mini Countryman had roughly the same footprint as a Volkswagen Golf hatchback, but it managed to look larger and offer some actual off-road capability, thanks to bulging fenders and higher ground clearance than its Mini siblings. The interior packaging provided space for five people and a decent amount of gear. Like other Mini models, the Countryman didn't come cheap, especially in higher trim levels with added equipment. Mini targeted well-off buyers who could choose something bigger or more luxurious, but instead select the brand for its size and charm. The Countryman's interior layout was very similar to that of its smaller Mini friends. Retro design themes ran strongly throughout, while some of the idiosyncratic touches were smoothed over, including the location of the lock and window switches. In back, the Countryman a three-person bench. When it was first launched, the Countryman had a four-seat interior with two individual rear seats. Later a three-seat bench was made standard. 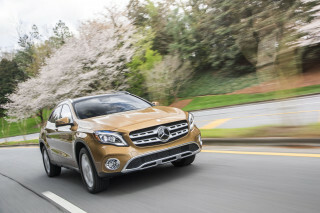 The base model came with a 121-horsepower, 1.6-liter 4-cylinder engine. Up one rung on the ladder was the sportier Countryman S model, which had a turbocharged version of the base model’s engine and a 181-hp rating. Both were offered with front- or all-wheel drive. All Countryman models were equipped with a long list of safety items, such as stability and traction control; a number of airbags; and anti-lock brakes with corner brake control. The Countryman was one of the first models to offer the latest Mini Connected infotainment system, which not only integrated with smartphones but also offers Internet-based services encompassing infotainment, communication, and driver experience. The services were provided through a growing range of apps that ran on the display screen in the center of the dash, and operated via a joystick in the center console. In the 2013 model year, a John Cooper Works version of the Countryman joined the lineup. With 211 hp and an overboost mode that kicks torque up to 221 pound-feet in bursts, the JCW can accelerate to 60 mph in about seven seconds; it's the first JCW model yet to offer an automatic transmission in addition to the standard 6-speed manual; since then, the auto has migrated to other new JCW models. The 2013 model also brought a redesigned armrest with relocated power-window controls and a larger console storage area. The second-row seat is now a three-person bench, with a two-person bucket arrangement available as a no-cost option. MINI also added the Paceman that year, a vehicle that was essentially a two-door version of the Countryman. For 2015, the Countryman gets a new grille, with the sportier Cooper S Countryman identifiable by additional chrome detailing. Most all-wheel-drive models get standard underbody guards, which can be added to the front-wheel-drive models too. 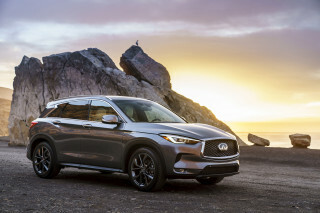 Other updates included 17-inch alloy wheel designs, LED fog lights, and accents in glossy piano black, along with a handful of new exterior colors. For 2016, changes are restricted to some trim and paint color changes, and a new special-edition model called the Park Lane, following a new grille and new chrome trim on the Cooper S version for 2015. Additionally, the folks at Mini have slightly simplified the Countryman lineup by reducing the number of options available. We have had the countryman for six months and it has fulfilled all our needs. It is an all- purpose vehicle. This car has exceeded my expectations in terms of reliability and has been so much fun to drive... I smile every time I get in. Great car. Love driving it, and think it has more style than most cars on the road. Wish I had gotten the complete communications package, but do enjoy being able to connect my iPhone. Some of the instrument... Great car. Love driving it, and think it has more style than most cars on the road. Wish I had gotten the complete communications package, but do enjoy being able to connect my iPhone. Some of the instrument buttons are "interestingly" placed: the front defrost button closer to the passenger, the rear defrost nearer the driver; the Sport transmission switch three buttons over from driver.